Bacall, whose onscreen chemistry with her husband Humphrey Bogart made her a defining movie star of the 1940s, was one of the last surviving stars of the studio system. This 1944 photo, originally released by Warner Bros., shows Humphrey Bogart holding Lauren Bacall in a scene from "To Have and Have Not." 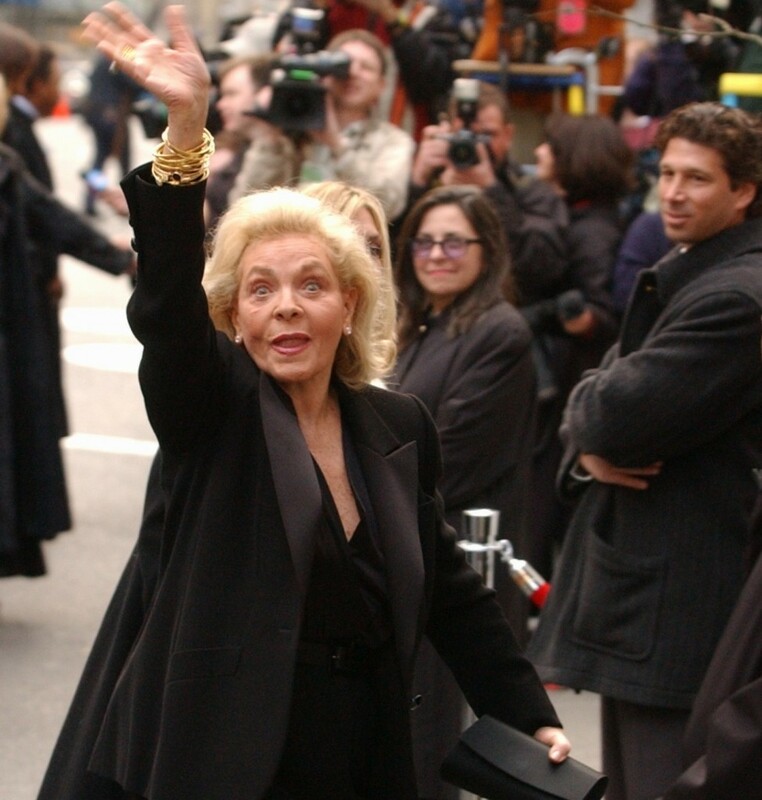 Bacall died Tuesday at the age of 89. Lauren Bacall, a bewitching actress whose husky voice and smoldering onscreen chemistry with her husband Humphrey Bogart made her a defining movie star of the 1940s and who decades later won Tony Awards in the Broadway musicals “Applause” and “Woman of the Year,” died Tuesday in New York. She was 89. Robbert de Klerk, co-managing partner of the Humphrey Bogart Estate, confirmed the death in an email. Bacall was one of the last surviving major stars of the studio system, which flourished from the silent movie era to the dawn of the television age. She was a willowy, ash-blond fashion model when veteran film director Howard Hawks plucked her from the pages of Harper’s Bazaar in 1943 and molded her seductive screen persona. Bogart, more than twice her age and looking it, wore an expression of someone who could not believe his luck. Here was someone whose cocksure impertinence matched his – and she could sing, to boot, rendering “How Little We Know” to Hoagy Carmichael’s piano. 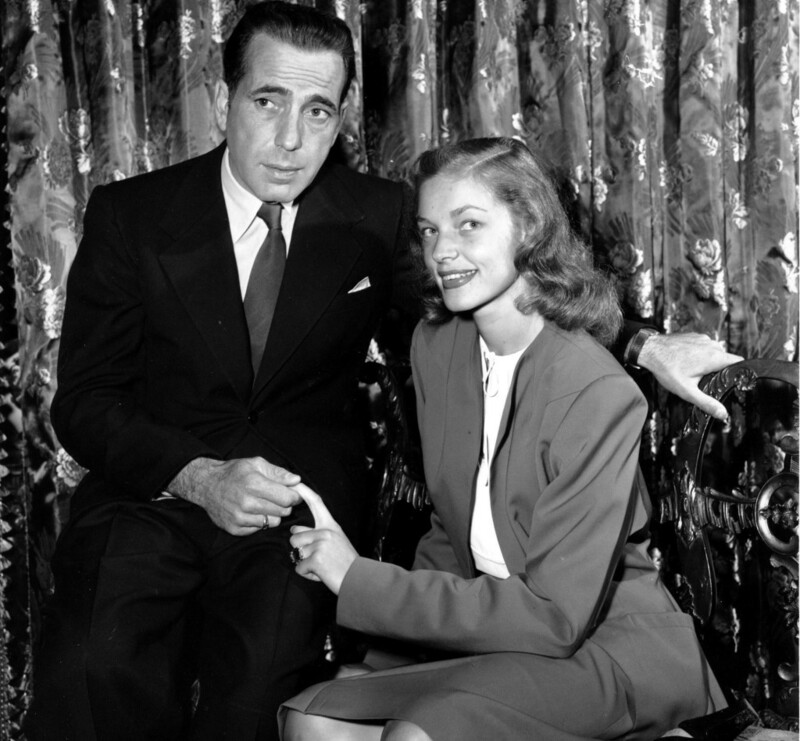 Bogart divorced his third wife and married Bacall after filming. The sexual undercurrent was repeated in “The Big Sleep” (1946), with Bogart as Raymond Chandler’s fictional private detective Philip Marlowe and Bacall as a resourceful divorcee. She went on to act opposite some of the top leading men of her day – Kirk Douglas (“Young Man with a Horn”), Gary Cooper (“Bright Leaf”), John Wayne (“Blood Alley”) and Gregory Peck (“Designing Woman”) – but the films were inconsistent in quality. If Bacall never again matched the sultry intensity of her early promise, she became a disciplined Broadway performer and bedazzled a series of powerful men in arts and politics. After Bogart died in 1957, she was engaged to Frank Sinatra and had a turbulent marriage to actor Jason Robards Jr. She was a longtime resident of the Dakota apartments in New York, but her social life extended far beyond the city. She was a presence in the Hollywood film community and Washington stages and salons. 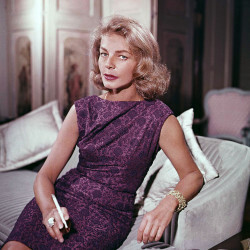 Attracted to liberal politics, Bacall grew close to a series of Democratic leaders, including President Harry Truman (who once serenaded her with the piano), Robert F. Kennedy and Adlai Stevenson II. In 1947, she flew with Bogart to Washington as part of a group of actors and directors protesting the House Un-American Activities Committee and its investigation into alleged communist subversion in Hollywood. 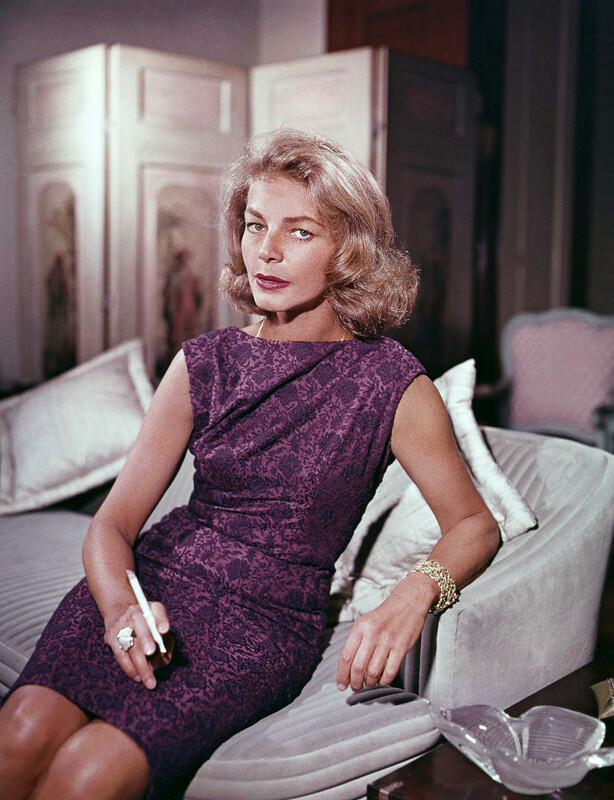 Bacall was born Betty Joan Perske on Sept. 16, 1924, into a middle-class Jewish family in New York City. She was a child when her father abandoned the family. She grew up with her mother, who took the surname Bacal; Betty later added the extra “L” and paired it with the screen name Lauren at director Hawks’ behest. She had modest training as an actress, but her stunning looks led to a modeling career and an appearance on the cover of Harper’s Bazaar in March 1943. Captivated by Bacall’s photogenic face, Hawks put her under a seven-year contract, trained her in techniques of movie acting and waited for the right material to introduce her to audiences. To promote “To Have and Have Not,” she was publicized as “the Look” to note her thrilling way with a come-hither stare. Bacall said she had little experience with men when she first met Bogart on the set of “To Have and Have Not.” She did not find him particularly attractive at first and was a bit scared. He was married at the time to his third wife, actress Mayo Methot, whose reputation for being a violent drinker gave her the nickname Sluggy. They were known as the battling Bogarts. They married in 1945, and later she said she discovered he was a complicated companion. 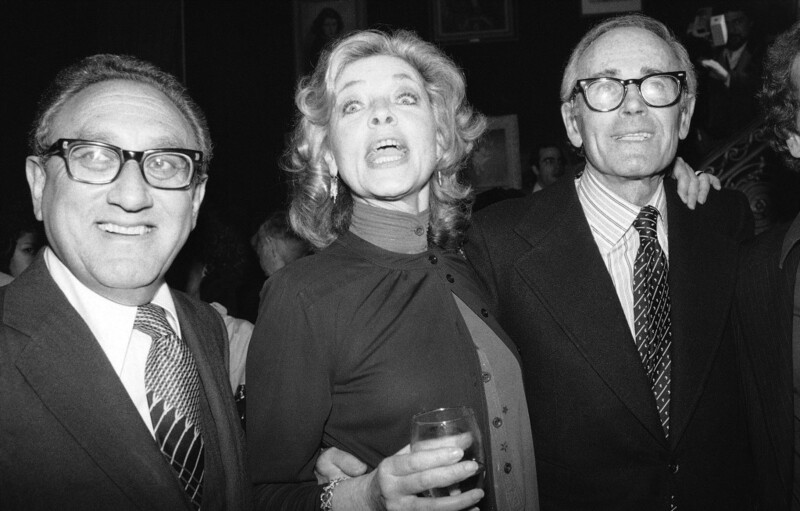 She called him “a man of such integrity, such honor and wit,” but a heavy drinker who surrounded himself with other heavy drinkers, such as director John Huston. It was a “traumatic” experience for her, she later wrote, and she was also adjusting fitfully to her immediate stardom. She preferred working in comedy, usually delivering wry lines with a convincingly haughty tone. She won acclaim opposite Marilyn Monroe and Betty Grable as one of three unabashedly gold-digging models in the musical “How to Marry a Millionaire” (1953). “The most intelligent and predatory of the trio, she takes complete control of every scene with her acid delivery of viciously witty lines,” critic Alton Cook wrote in the New York World-Telegram and Sun. Bacall’s career slumped markedly in the 1950s. She said she was more content to be Mrs. Humphrey Bogart instead of a movie star. She accompanied him on his film assignments, raised their two children, Stephen and Leslie, and helped host informal parties five nights a week at their home in Los Angeles. 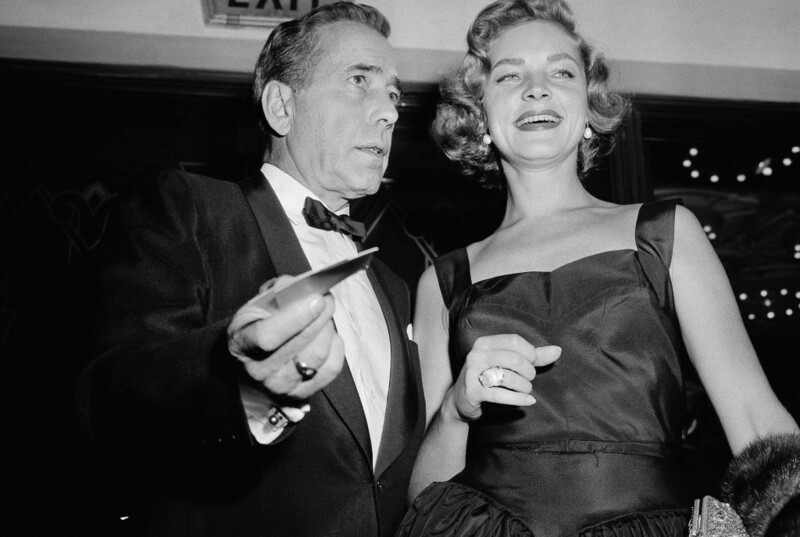 When Bogart received a diagnosis of cancer of the esophagus in 1956, Bacall curtailed the couple’s social activities and spent nearly all of her time caring for him. In her grief after he died the next year, Bacall said she fell into a depression. She grew deeply attached to Sinatra, a close family friend. But when word of their engagement leaked to the media, the singer stopped taking her calls. She said she felt humiliated by Sinatra, mistreated by the gossip pages and dismayed by what she called the superficiality of Hollywood life. Saying she had tired of being seen as “Bogart’s widow,” she settled her family in New York, hoping to construct a new identity as a theater actress. 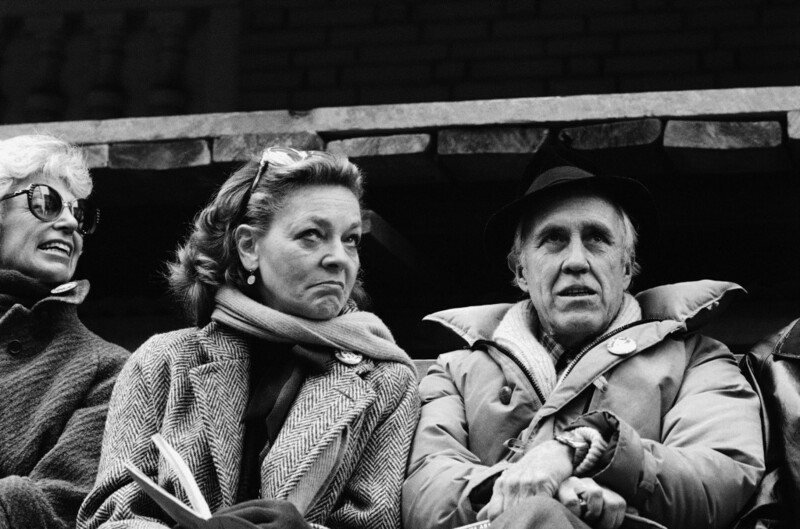 In 1961, she wed Robards, a distinguished stage actor. He was a brilliant and passionate person, Bacall later said, but grew violent when drinking. The marriage produced a son, actor Sam Robards, before ending in divorce. A complete list of survivors could not be immediately confirmed. On Broadway, Bacall starred in George Axelrod’s comedy “Goodbye, Charlie” (1959), playing a lothario who returns from the grave as a woman. And in Abe Burrows’ long-running “Cactus Flower” (1965), she was the prim assistant to a womanizing dentist. Bacall said she struggled over the years to find engaging film roles. She played a brassy widow in “Murder on the Orient Express” (1974), based on the Agatha Christie mystery, and an actress stalked by an obsessed admirer in “The Fan” (1981). She took much smaller roles to work with directors she admired, including Lars von Trier (“Dogville,” 2003) and Paul Schrader (“The Walker,” 2007). 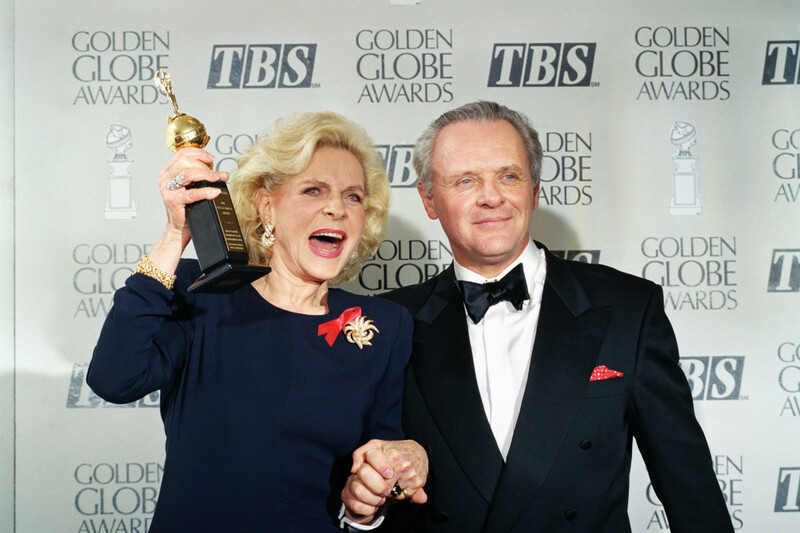 After losing her Oscar nomination in 1996 to Juliette Binoche in “The English Patient,” Bacall told the Times of London that “the phone went completely dead, which shows you what a fickle business it is. It’s one of the reasons why I continue to work, because I know how it is not to work.